For too many in our world, this past year has been one of great disturbance and epoch-making upheaval. Cataclysmic events have led to incomprehensible sorrow. We have heard and seen images of happenings around the world that have tested our credulity and sorely tried our faith. Currently around the globe in this 21st Century, there have been extreme acts of violence and brutality that hearken back to days of archaic barbarism. In light of these egregious atrocities, we may well ask, “What will 2017 bring?” Our prayer is, what will we give to this New Year? With God’s help—through prayer and a determination not to “grow weary in well doing”—we can bring a positive influence for good to our world by giving and sharing our faith. (Galatians 6:9) Every child of God can spread hope and share a legacy of faith that will heal. What is faith? Faith is complete trust and confidence in our God. What is a legacy? “Anything handed down from the present and past, as a gift.” In this New Year we can give the gift of faith, hope and love. Daniel had a great name: God is my judge. A name in the Bible many times is a description of the person, or of what God would do through an individual. Daniel’s friends had good names, too! Hananiah means: grace, mercy and gift of the Lord. Mishael is: who is like God! Azariah means: Yaweh has helped! What’s in a name? Plenty! God knew what Daniel and his three Hebrew friends would face. He gave them good names, and He gives a good name to us, also. In the coming months, we will have many opportunities to pray and do good. Let’s make the most of them! This year give a legacy of love, encourage hope and share faith. Providence is the Divine Guidance and care of our Heavenly Father. At Provident Ministries we have experienced the provision of God for purposeful living, and His direction for our future. Our hope and prayer is that you will also experience His presence. 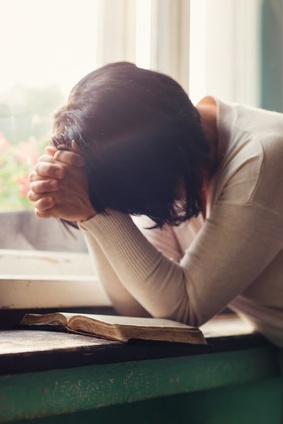 Get inspired, go deeper and connect with God through Pastor Diane's devotionals.